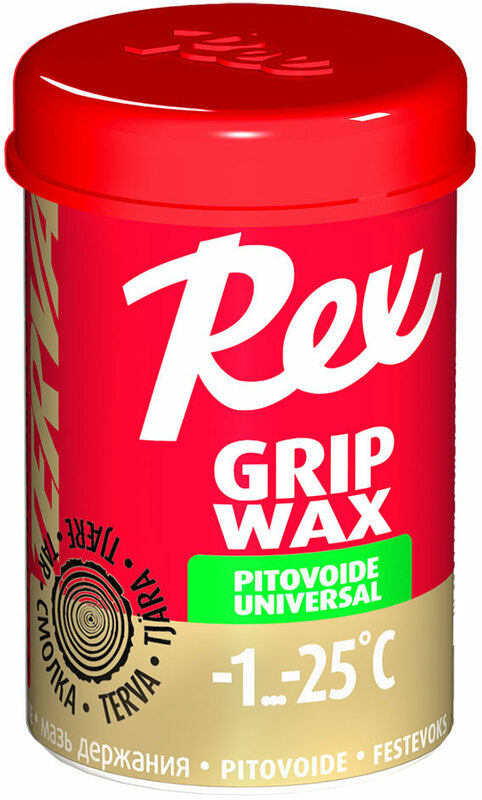 Our well-known and trusted basic grip wax line contains some classics, which have been in production for over 50 years! 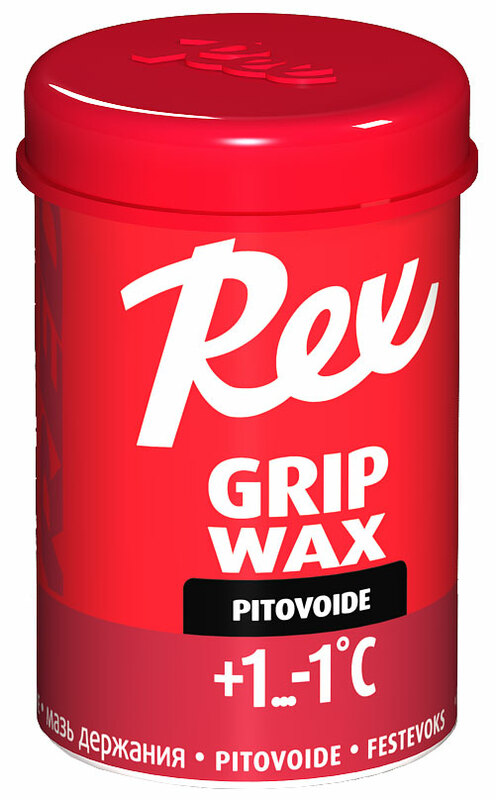 The most popular Rex wax for cold conditions. On new snow provides a good grip at around -6°C. Use it in race waxing as a coating for softer waxes. The king of grip waxes! A classic that has been in production for decades, still remaining relevant. In Finland Rex Blue has gained a legendary reputation, just ask any finnish skier! It is used widely as a universal grip wax on cold temperatures. 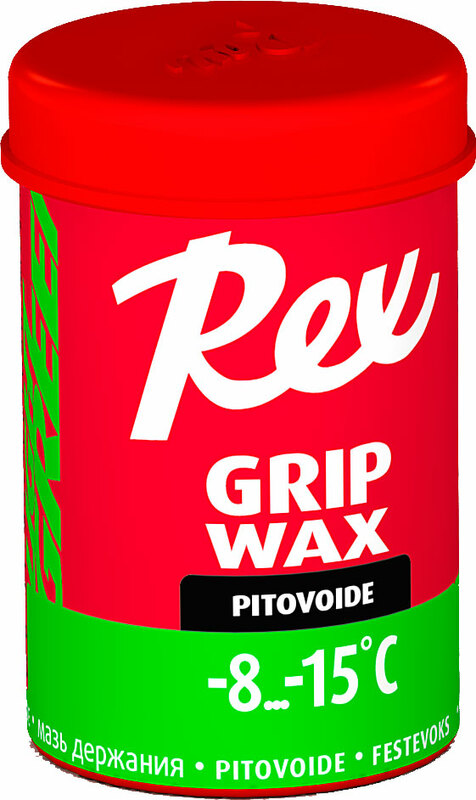 Its grip and glide properties can be adjusted by the thickness of the wax layer. The colder the weather, the thinner the layer. Another Rex-legend. A bit softer and more gripping than Blue (115) for milder frosts. Provides a good grip even on hard and worn track. 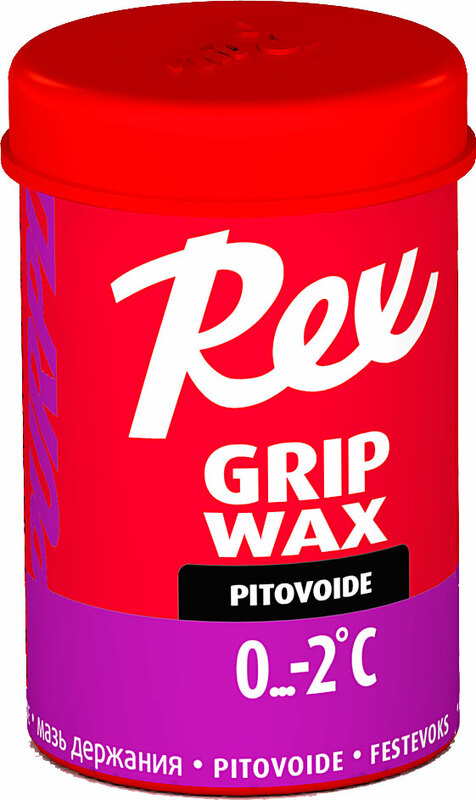 Despite of its purple color, this is a pure below-zero-temperature wax, which is used in race waxing as a coating for PowerGrip Green. A secure choice for recreational skiers. Red kick wax for zero conditions. When mixed or used as a coating for klisters, gives great protection against icing on new or loose snow. Very sticky and durable base wax under any grip wax. 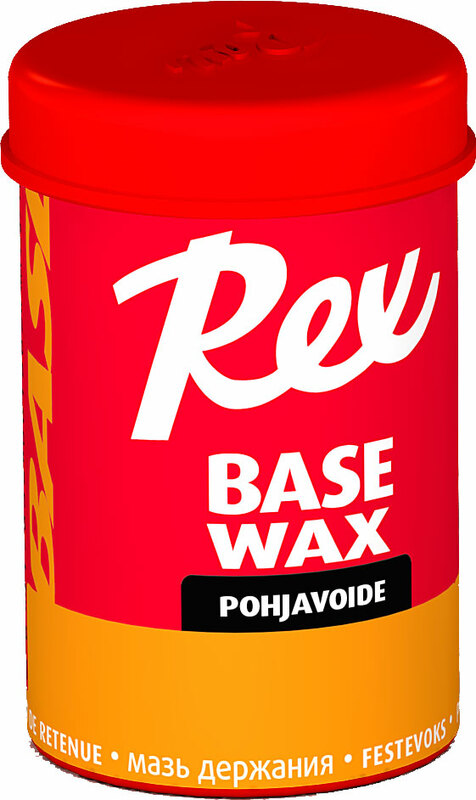 The most durable result is achieved by applying a wax with an waxing iron to roughened ski base.